As you might have seen earlier today, Sony is bringing back Days of Play – a global promotion that celebrates the PlayStation community via large deals – this year. Running from June 8-18, players will be able to take advantage of various discounts on hardware, peripherals, and other PlayStation 4 exclusive games across the U.S. and Canada, along with the rest of the world. Alongside the various sales that will begin this month, Sony is also introducing a brand new Days of Play Limited Edition PlayStation 4 system on June 8. 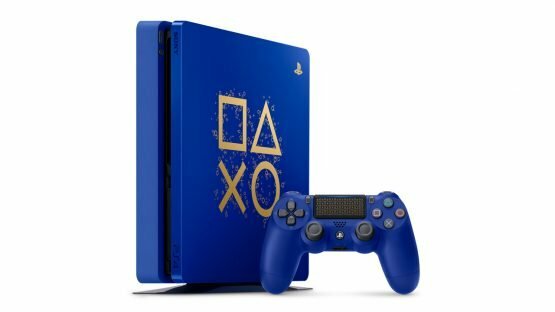 The console, which will run players $299.99, features a Days of Play Blue color that is adorned with a gold PlayStation symbol design placed on the center of the console. The system comes equipped with a 1TB hard drive and will include a matching DualShock 4 wireless controller that also features some subtle gold accents. Will you be picking anything up during the Days of Play? Let us know in the comments.